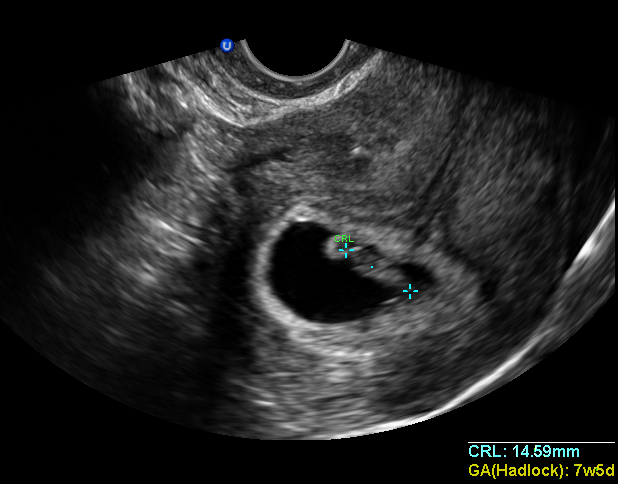 We are officially pregnant with one little bean (whew!). Measured 7w, 5 days (I’m currently 7w, 4d) and the heart rate was a great 153 BPM. We go back in 2 weeks for our final appointment with the RE. The OB that I want is in high demand so I’m going to call over there today or tomorrow to see if they want to go ahead and schedule me. So exciting!